It’s a sad fact that in the UK there is a 40% increase in emergency calls to vets during the Christmas period. Below are some of the most common dangers cats may experience during the festive period and some tips how potential accidents can be avoided. Nearly 60 million Christmas trees are grown every year in Europe to go into our households. A tradition that was started by Christians in Germany in the 16th century has now been adopted by most of the world and has become a tradition in many non-Christian households as well. They look lovely and smell amazing, but the oils produced by most Christmas trees are mildly toxic to cats. A lot of trees also shed their needles over the course of the weeks they are up. These needles, if ingested, can cause your cat intestinal blockages or irritation. Another danger is cats climbing the tree and toppling it over, potentially causing injury to themselves. We opted for a small artificial Christmas tree in our home. However even with artificial trees care needs to be taken. A cat that likes to chew could chew and ingest the plastic the tree is made of. •	If you cannot live without a real Christmas tree try to ensure your cat is never unsupervised in the room where the tree is located, especially if they are mischievous. •	Cover the base of the tree to avoid your cat getting access to the tree water which will contain a lot of the poisonous oils. •	Be careful if you have a potted Christmas tree and avoid using plant food or fertilisers for the soil as both are toxic to cats. •	Make sure you vacuum every day to get rid of any lose needles. •	Invest in a good quality, heavy base which will prevent your Christmas tree from toppling over, or place weights to secure it at the bottom. Tethering it to the wall or ceiling is also an option. •	If you are getting an artificial tree make sure you do the research and ensure they are safe for cats (e.g. not sprayed with artificial snow or flame retardant spray that is toxic for cats). However even a cat safe plastic tree can be dangerous if your cat likes to chew it so make sure your cat does not have unsupervised access to the tree if that is the case. •	Consider setting up a play area with some new, interesting items close to the tree to distract them from the enticing new cat tree you brought into the house. House plants are an issue all year round, but a lot of plants and flowers popular during Christmas are particularly toxic for cats. Poinsettia, mistletoe leaves and ivy are often feared by cat owners but they are actually not as poisonous as some people think. Still, they can cause upset stomachs, diarrhoea and foaming at the mouth and can be especially bad for cats that are already ill or elderly. The real danger actually comes from berries including those from holly, mistletoe and yew, which are far more dangerous and should always be avoided. -	Christmas tree decorations may entice your cat even more to climb it, so make sure they are secured well and hung up higher on the tree where they may not be so much of a draw to the cat. -	Glass baubles – are easily broken; glass shards and cats are never a good combination! -	Tinsel, angel hair, fake snow and potpurri – can cause serious blockages or poisoning if ingested which can be fatal. -	Christmas / fairy lights – like with baubles, a cat chewing them could potentially crunch the little lights. Glass shards in a cat’s mouth is not something you want to happen. -	Cables – can give your cat a (fatal) electric shock if chewed. -	Candles – you’d think cats would instinctively shy away from fire, but the many many burnt paws vets have to treat over the festive period tell us otherwise. -	Snow Globes - some can contain ethylene glycol, commonly known as antifreeze, which is highly toxic to pets. If the ornament breaks and the liquid spills out, there’s a real risk your cat could lick it up or swallow it whilst grooming should the liquid have gotten on paws or fur – and become critically ill.
-	Wrapping paper – what a great toy! Not so fun anymore if chewed and ingested. 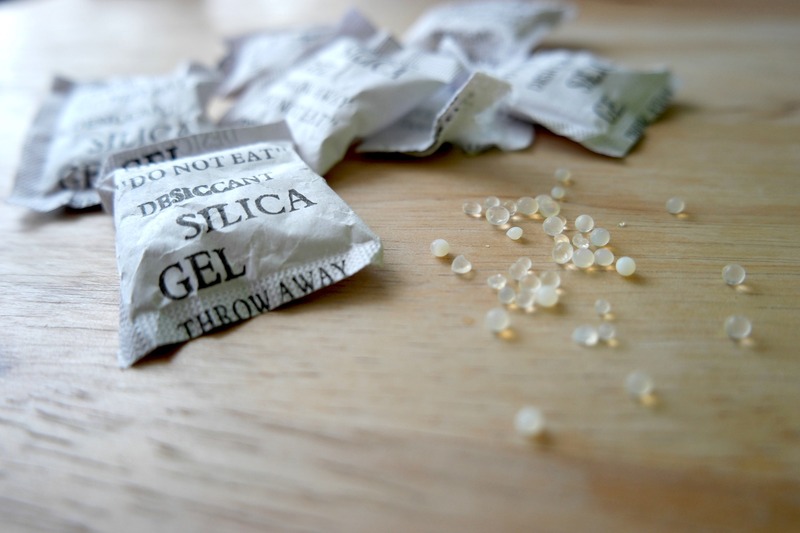 -	Silica Gel – not a decoration as such but included in a lot of presents. These little balls can cause serious poisoning to your cat. -	Use plastic baubles and ensure your fairy lights have plastic casing instead of glass; hang them out of reach of your cat if they like to chew them. -	Try and avoid using tinsel, angel hair, fake snow or potpourri or at least keep them well out of reach of your cat. -	Make sure your cat can’t chew any cables, especially if your Christmas lights are plugged into the mains. Ensure you unplug them while you are not at home. Try and use battery powered LED’s where possible instead. -	Make sure your cat doesn’t get its paws on real candles while they are burning. -	Be sure to check what chemicals your snow globe contains and keep it well out of the reach of any curious cats. -	Tidy away wrapping paper before your feline companion can get to it. Especially strings, ribbons and small decorative thingamabobs that some people tie or stick to presents can be quite dangerous. -	While unwrapping presents make sure you look out for Silica gel sachets and dispose of them immediately. -	Never hang chocolate treats (or any human treats) on your Christmas tree. -	Don’t place presents that may contain chocolate, macadamia nuts or other potentially harmful sweets under a tree. -	Close the kitchen when cooking an ensure cats don’t have access to any (human) foods, cooked or uncooked. Most cat owners will know that almost no cat likes change. The festive period can therefore be a highly stressful time for our felines. We move furniture, bring in an exciting new “cat tree” that they are not allowed to use and we often have family and friends over – some of them may even bring their own pets. Some people also think it’s particularly cute to dress their cats up as Santa, Rudolph, an elf or the Grinch which is a highly stressful event for your cat. -	Introduce changes to your home gently and slowly so your cat has a chance to adjust. -	Always try and keep stress to a minimum by ensuring your cat has a secure place to hide from any guests you invite, especially if they bring their pet(s). -	Don’t dress up your cat – for more information on why please see our blog on the subject by clicking here. Christmas is also a time when cats and dogs (especially kittens and puppies) are being given as presents. It’s a very sad fact that while adoption of cats and dogs increases leading up to Christmas, the number of “returns” to the shelters or abandonments by the side of the road is skyrocketing in the weeks and months after Christmas. I don’t want to end this blog on a sad note though – the festive period can actually be a very beautiful time with your feline companions. Colder weather leads to more snuggles and we get to buy our furry family members tons of toys and cat beds they will never use, delivered in boxes they will LOVE. We get to spoil them rotten with their favourite treats and if you are anything like me you will spend way more time at home since that’s were it’s warm and snug and full of loving purrs. We therefore want to take this opportunity to wish you all a wonderful festive period – whether you celebrate Christmas or not – filled with love, kindness and kitty cuddles.